(CNN) -- There are typically two types of comic book movies -- movies like "Ghost Rider" and movies like "Batman Begins." That is, there are some comics that should be really good movies, but because of a bad script, director or actors (sometimes all of the above) they end up cinematic duds like "Ghost Rider." And there are some comics that make the transition to the big screen really well with the help of great writers, directors and actors, like "Batman Begins." Movie producers are bringing a fairly serious comic book character, DC Comics' "Jonah Hex," (played by Josh Brolin) to the big screen on Friday. The trailer from Warner Brothers (whose parent company, Time Warner, also owns CNN) looks like it's anything but. Early reviews aren't kind. By mid-Friday morning, the film had earned a rotten 11-percent rating on Rotten Tomatoes. If you're not already familiar with the character, here's the gist: As a boy, Jonah Hex's drunk and abusive father sells him to an Apache tribe. Hex lives with the Apaches as a slave but wins the favor of the chief and becomes a free member. He gets separated from the tribe as an adult, ends up fighting for the Confederates in the Civil War -- even accidentally shooting Stonewall Jackson -- and ultimately wanders out West. But when he comes back to the tribe, a fight with a rival leads to his banishment and a new life as a bounty hunter. See Techland's brief history of Jonah Hex. The original run of the comic spanned the 1970s and 1980s, but the title was revived in the early 1990s and more recently in 2006. In later issues of the first run, Hex would be pulled through time, meeting up with Batman and a handful of other DC superheroes. "Jonah Hex" falls prey to a common problem with comics-turned-movies: The stories span years, sometimes decades. Most fans are only familiar with a comic book's story from the point when they start reading. But even so, fans of Jonah Hex know him as the star of a Western comic, not a superhero comic. Hollywood producers, however, know DC Comics as a powerhouse of superheroes, and they seem to have different expectations of "Jonah Hex." Based on the trailer, Hex now has mystical and magical abilities to raise and speak with the dead. His place in the Civil War is downplayed. There are no major characters who are Native American. Megan Fox stars as a gun toting prostitute, a never-before-seen friend of our hero. And "Q" from the James Bond franchise apparently had forerunners in frontier towns who provide Hex with horse-mounted Gatling guns and hand-held, dynamite-firing crossbows. Hex's story should make a good movie. 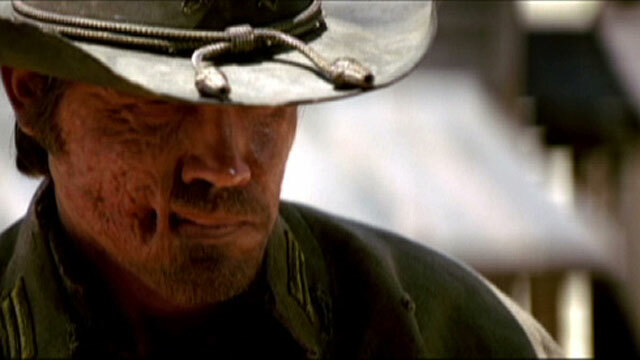 "Jonah Hex" should be one of those comic-based movies that doesn't need many changes to work. But instead of trying to stay true to the comic, it appears that producers are hoping to attract a casual movie-going audience by sacrificing the original flavor of the character and story. The result appears to be a campy movie that alienates both fans and regular moviegoers. Looks like we're in "Ghost Rider" territory.